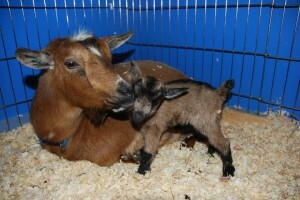 This entry was posted in Goats, Site News. Bookmark the permalink. 2 Responses to More 2011 kids! 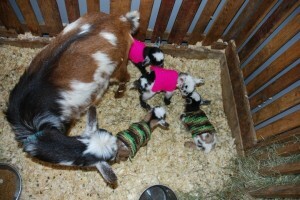 Baby goats in sweaters! Too cute!! Thanks Sharla! 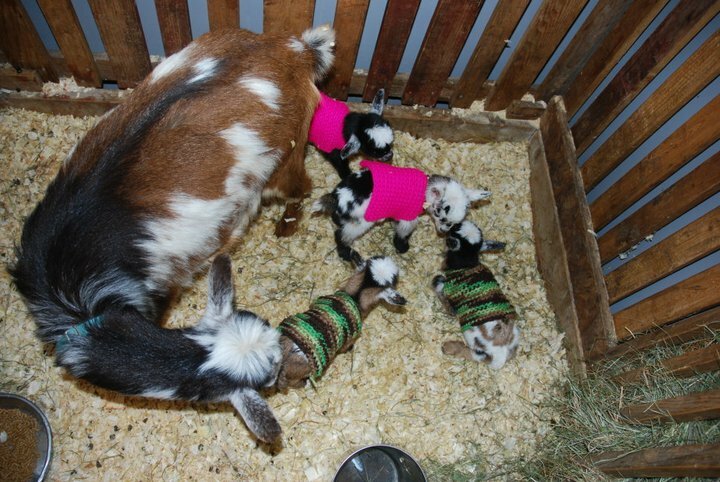 I wish we had more spring-like weather so they didn’t have to wear the coats, but they sure are cute in them!